Acute biliary pathologies such as acute cholecystitis and bile duct obstruction are one of the common causes of emergency hospital visits. Imaging plays an important role in diagnosing the biliary abnormality and identifying the underlying etiology. Ultrasonography is the preferred initial imaging test for all patients with suspected acute cholecystitis, with supplemental cholescintigraphy being considered in clinically equivocal cases. Ultrasonography is also the initial imaging modality for detection of biliary obstruction by identifying intrahepatic and/or common bile duct dilatation. Magnetic resonance cholangiopancreatography and endoscopic ultrasound, however, are superior to ultrasonography for diagnosis of choledocholithiasis and establishing the level of bile duct obstruction. Endoscopic retrograde cholangiopancreatography (ERCP) is typically reserved for therapeutic intervention. Patients with a high likelihood of choledocholithiasis should be referred directly for therapeutic ERCP, without further imaging. The authors would like to acknowledge the work of Drs. Jose C. Varghese, Brian C. Lucey, and Jorge A. Soto. 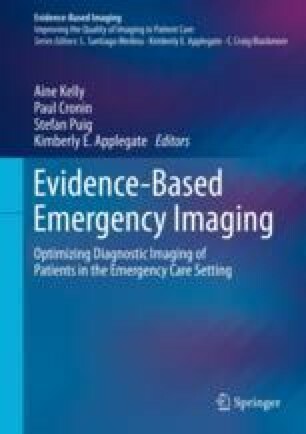 This current chapter represents a significant revision and substantial update of their chapter (in Medina LS et al., eds: Evidence-Based Imaging: Improving the Quality of Imaging in Patient Care. NY: Springer Science; 2011), incorporating the most current evidence.